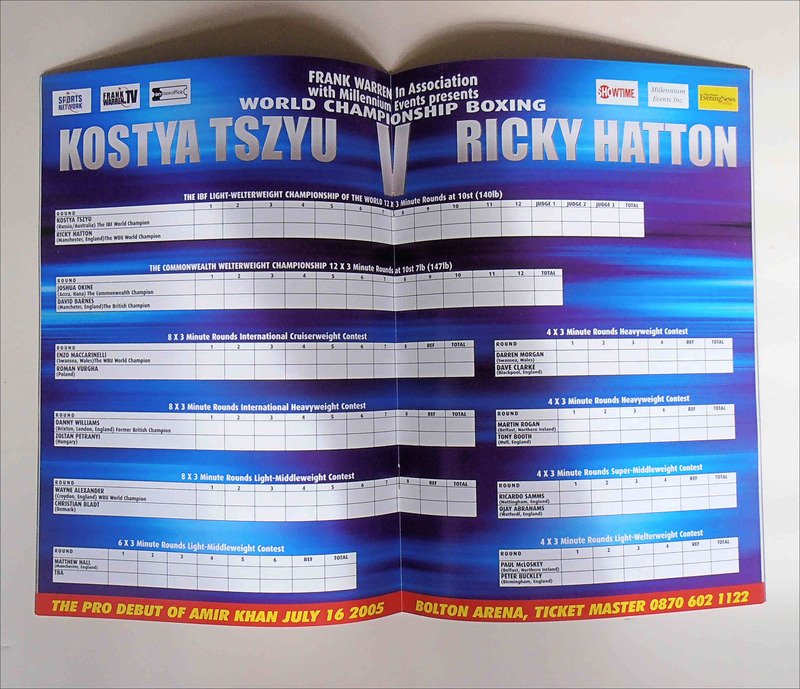 Description : Here we have the official Frank Warren promotions fight night program from that most historic night when Ricky "Hitman" Hatton won the IBF Light Welterweight Title when he defeated the great Kostya Tszyu. This program has been signed by Ricky Hatton. Ricky Hatton was at the time, the WBU light welterweight champion, he was the underdog for the fight & known mostly in Britain as a young crowd favorite from Manchester. Kostya Tszyu was an established force amongst the top pound for pound fighter's in the world and had been the first man to unify the light welterweight division in 30 years. At 35 years old he had been the champion for more than a decade and was considered a national hero in Australia, but he'd been out of the ring for the best part of 2 years due to recurring injuries. 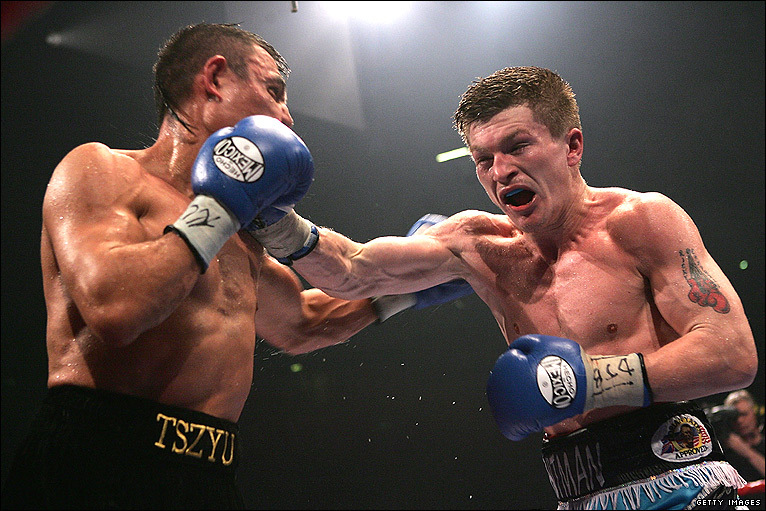 Tszyu was a notoriously slow starter and Hatton won the first two rounds in an aggressive start to the fight, however the champion qualities of Tszyu shone through in rounds 3-5 as he settled into a rhythm and was able to time his counter punches. The sportsmanship of both competitors was questionable at times throughout the middle phases of the fight; Tszyu knocking Hatton to the canvas in the closing stages of the 7th with what was an illegal low blow, and Hatton responding with a deliberate low blow after Tszyu was warned again in the 9th. None the less, Hatton's aggression and pace had begun to slow the aging champion down & going into the 12th he had a slight lead on all three judges scorecards (105-104, 106-103 and 107-102). After a back and forth battle in which both fighters took great punishment, Tszyu failed to emerge from his corner for the final round as his trainer Johnny Lewis threw in the towel & Ricky was now the bona-fide Champion of the World! This autographed official program represented here bears the authentic signature of Ricky Hatton & will come with a letter of guarantee of authenticity from KOfightposters.com for a lifetime & beyond.